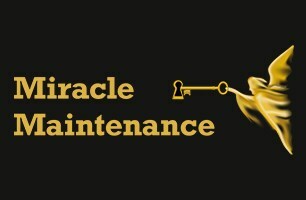 Miracle Maintenance - Central Heating Engineer, Locksmith, Plumber based in Essendon, Hertfordshire. Miracle Maintenance is a professional home and commercial maintenance business operating in Hertfordshire, Essex, London and Surrey. It is the parent company of three specialist services: Miracle Leak Detection, Miracle Boilers and Miracle Locksmiths. We provide a dedicated, reliable and friendly service and all of our engineers are Gas Safe certified for your safety. We are experienced in a range of repair and installation services, with each individual sector staffed by experts in that particular field. Water and gas pipe leaks in your home can quickly disrupt your life and cause unnecessary stress and expense. Our vehicles are fully equipped with the latest technology to help find and fix the source of your leak fast. Our fully certified and trained engineers are experts in locating common and complex leakage issues using non-destructive and non-invasive methods. Remember, not all home insurance policies include Trace & Access cover, meaning that it’s up to you to find the leak before any repairs and compensation can be claimed. We provide a 24-hour mobile locksmith service to both domestic and commercial clients. With many years in training and experience you can be sure to trust us with all your lock needs.